Satellite Communication simply helps in the transfer of information from the sender to the receiver for him to respond accordingly. There has to be a medium with the help of which information, data or signal can travel from the sender to the receiver. The recipients receive signals from the sender, decode it and resend it back to the sender to facilitate the process of communication. Communication can take place with the help of light as in optical communication system or with the help of radio signals as in the case of radio communication system. The first artificial satellite was launched successfully by Soviet Union on October 4, 1957 and was named Sputnik 1. Sputnik 1 was only 58 cms in diameter and was the first to initiate satellite communication system. It was the launch of Sputnik 1 which brought Soviet Union into limelight and at par with other nations. satellite communication, the satellite which is stationed in the space system for transmission of signals plays a significant role. The scientists after a lot of hard work launch the satellite in the space after undergoing a lot of tests for the satellite to survive in the hostile conditions of the space. Satellite launching involves a lot of investment and hard labour by scientists. The satellites ought to be light weight and durable. The satellites are generally equipped with an antenna and transponder to facilitate the communication process. 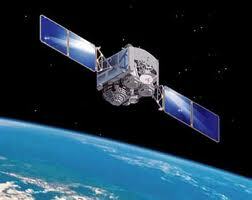 The satellite majorly works on the solar power which is continuously received by the satellite’s solar panels. There are broadly three major types of satellite system. Fixed Satellite System – The fixed satellite system helps in the transfer of numerous data and information across the countries through fixed point on the earth’s surface. Mobile Satellite System – It is helpful in connecting ships, aircrafts at distant and remote places.